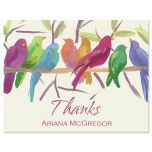 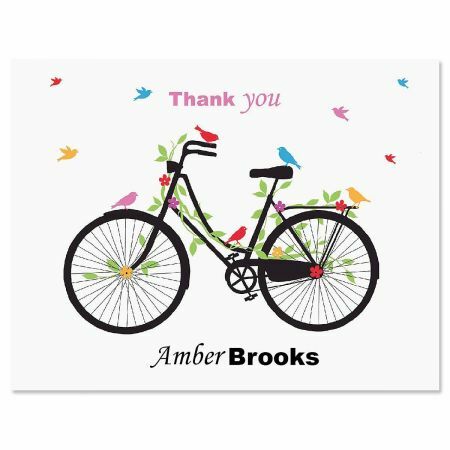 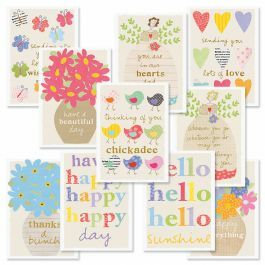 The silhouette of a utilitarian bicycle surrounded by fanciful multicolor leaves, tiny flowers, and birds,beautifully enlivens our folded thank you note cards. 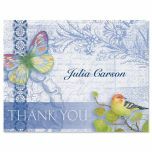 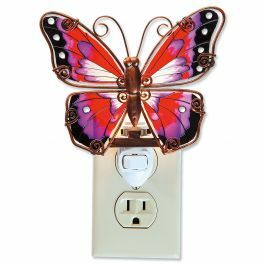 Everyone will appreciate this uplifting design that expresses your "thank you" for the birthday gift, the meal, the hospitality, the listening ear. 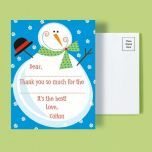 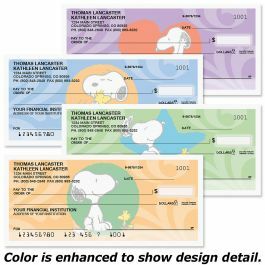 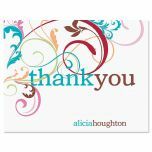 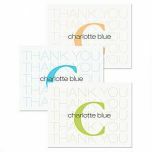 With your name or personalized message on the front, our thank you note cards provide extra panache with no extra cost. 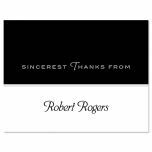 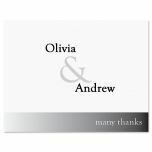 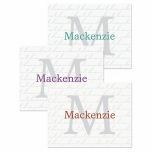 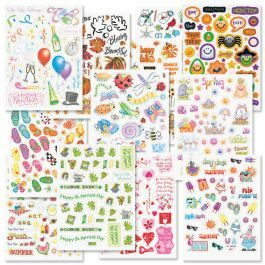 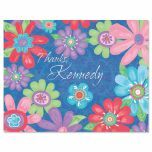 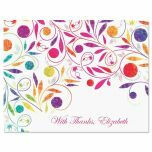 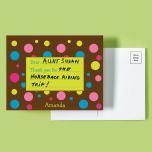 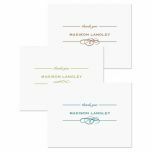 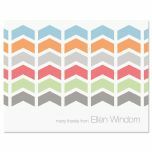 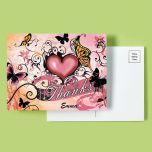 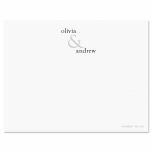 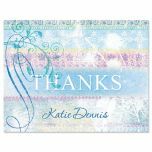 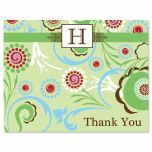 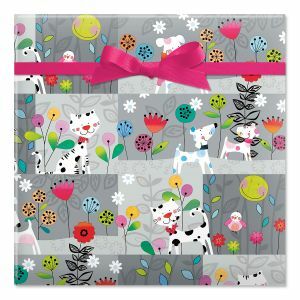 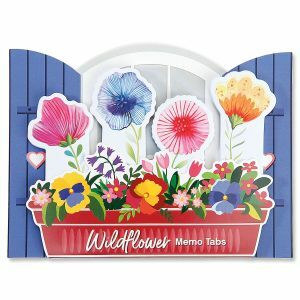 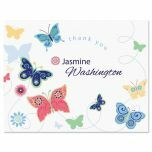 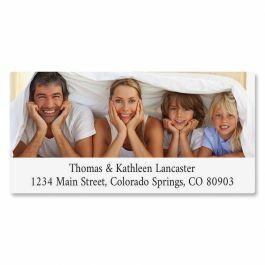 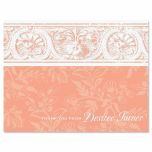 Blank-inside thank you cards are 4 1/4" x 5 1/2" and come with white envelopes in a gift package. 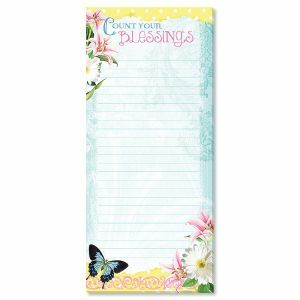 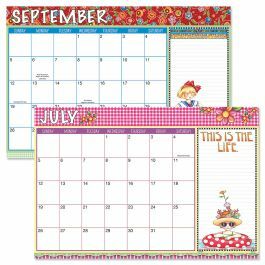 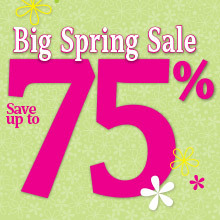 Specify 1 line, up to 9 characters, printed Script type.